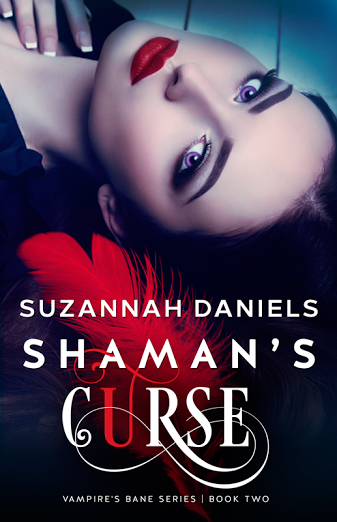 Shaman's Curse (Vampire's Bane #2) by Suzannah Daniels. Audience/Genre: Dystopian, Paranormal, Young Adult. Maylin Kavanagh is on a mission. 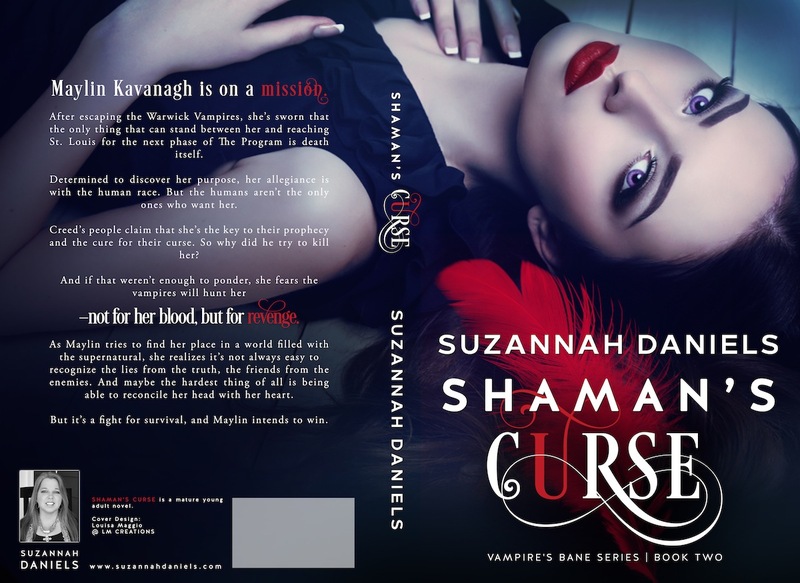 After escaping the Warwick Vampires, she’s sworn that the only thing that can stand between her and reaching St. Louis for the next phase of The Program is death itself. Determined to discover her purpose, her allegiance is with the human race. But the humans aren’t the only ones who want her. Creed’s people claim that she’s the key to their prophecy and the cure for their curse. So why did he try to kill her? 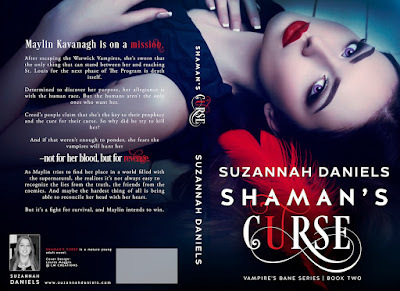 And if that weren’t enough to ponder, she fears the vampires will hunt her—not for her blood, but for revenge. As Maylin tries to find her place in a world filled with the supernatural, she realizes it’s not always easy to recognize the lies from the truth, the friends from the enemies. And maybe the hardest thing of all is being able to reconcile her head with her heart. But it’s a fight for survival, and Maylin intends to win.